It are cold and windy outside, but I founds a sunbeam an I not sharin it wif dem ole kitties! No sir, it are all mine! 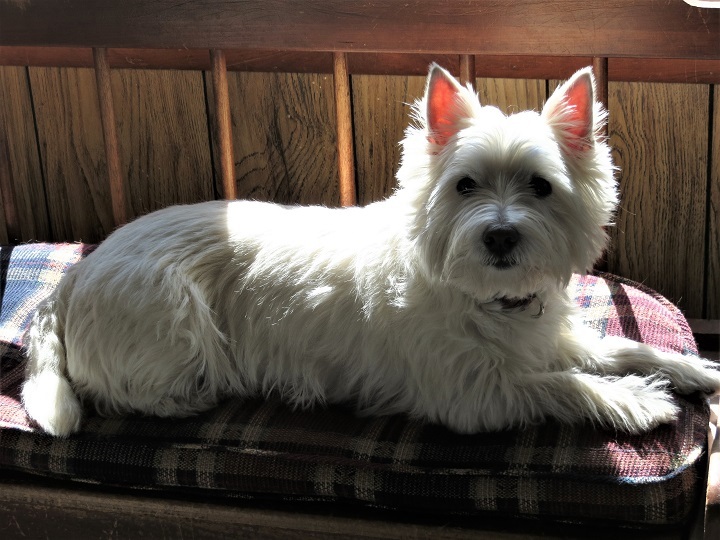 Lub, Emmie Sue (who lubs her sunbeam! Re: I Found a Sunbeam! You look like you are finally able to start defrosting. We are still waiting for some good old spring days. Now you can sees me! Mommy not know what her did dat my piccie was so tiny...Hmmm, could her hab a senior moment? Hee!Hee! AWWWWWW.... I just love the sunlight highlighting her ears. Emmie Sue lots of warm days coming for sure. Before you know it those summer fans will be running to keep you cool. Looks like you have the best window seat there. POW for your darling picture.